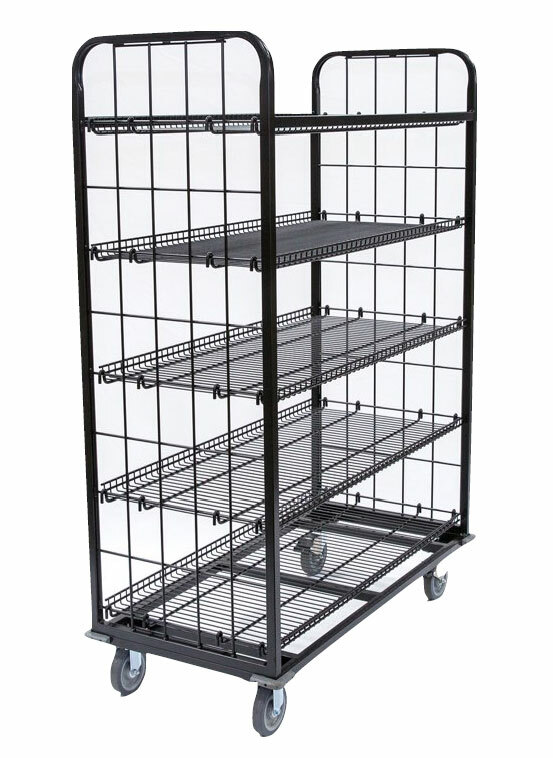 The Grocery Stocking Cart is designed to hold and move heavy merchandise. You will experience less product damage, easier maneuverability and higher efficiency when restocking your store displays. Load Capacity Static: 2,500 lb. Load Capacity Dynamic: 1,800 lb.